That statement above is a theme that runs through my heart. Having been a memory keeper for a couple decades now, I am constantly honing and refreshing my desire, my skill, and the stories themselves. I have been in seasons of letting stories lie dormant in my mind, only to be forgotten. Not only do they become forgotten, then I am left with a certain pit in my heart. This pit comes from knowing I had something to share, and then not creating space to get that something shared…and therefore remembered. It’s said we only remember 50% of what happens to us. I for one can testify that this is true (hand raised). Seriously, I can forget what I had for breakfast…just this morning! In the age we find ourselves information is in our palms. Constant news feeds cause us to be numb to heart breaking situations, if not cynical to media over coverage. And rushing from this activity to that, fighting traffic and what not…no wonder we do not always recall the essential stories of our lives. There is a work required to tell our stories. It’s a work that elicits great joy for me. 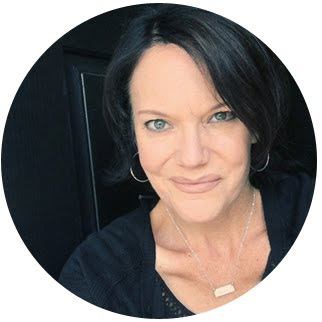 There is an intentionality to re-amping my storytelling process. But I have to say, I am so happy about it already. It's already filled that space I abandoned about two years ago. You can never have too much happy. Isn’t that the truth? What makes me happy is time with friends. A house full of people eating and laughing. Game night around the table with plenty of popcorn. And a stolen lunch time with my Aussie mate in Phoenix during Creativation 2019. That makes for happy. 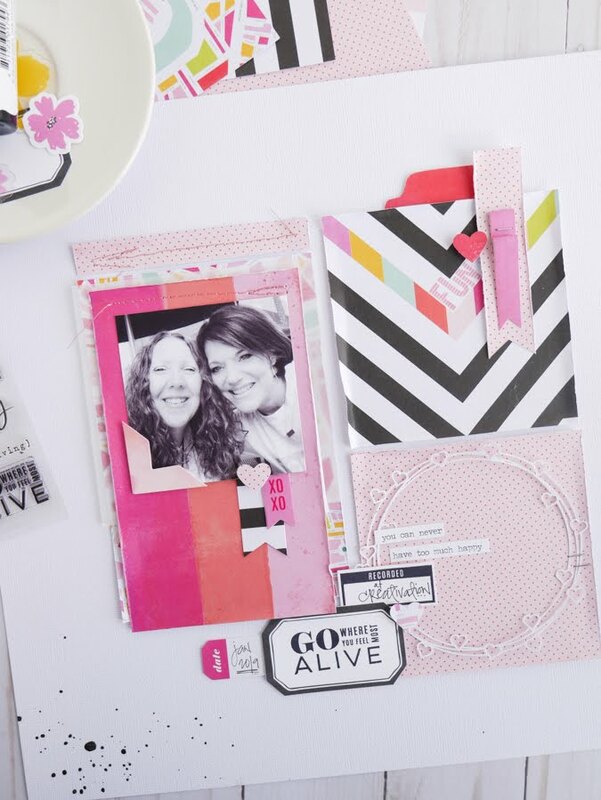 This layout here came out of a heart of happy. The story just kept drilling a hole in my head and fueled it’s creation. This page holds so many elements that you will find over and over in my crafting a page that holds story. Layers of pattern paper. A cut file. Plenty of word and phrase stamps and stickers. Paper embellishments. White space. 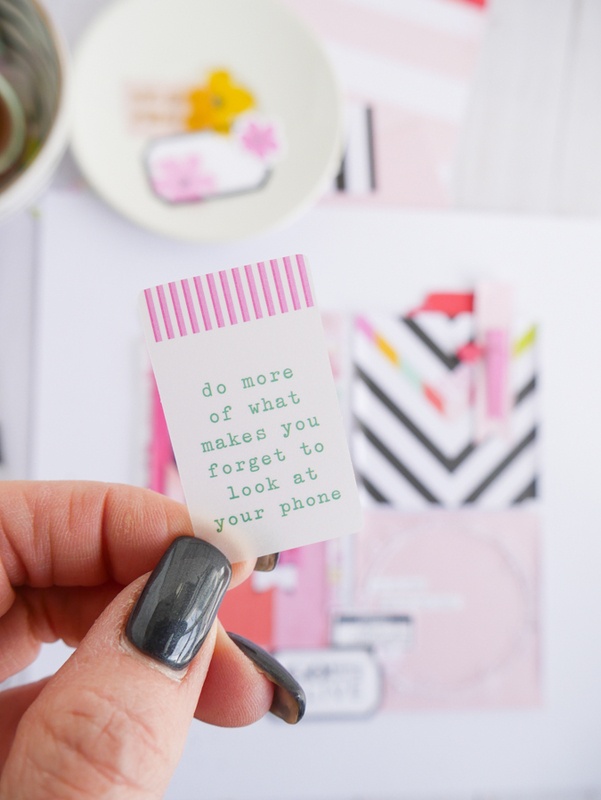 And journaling. Always journaling. Even if it is hidden as on this Go Where You Feel Most Alive page. Oh yeah…and photos! Right? These pages ALWAYS start with the photo. The heart of the story. The prompter of the narrative. 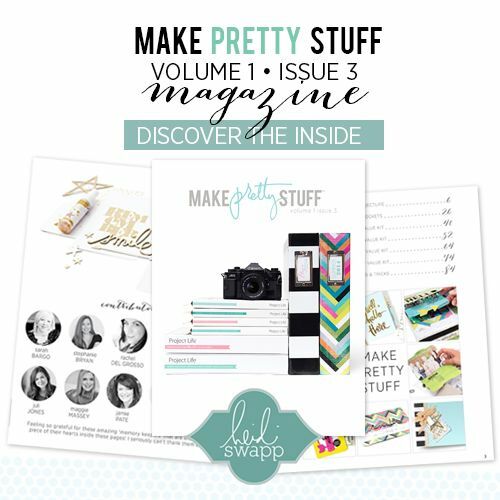 This story was brought to you by Heidi Swapp’s Color Fresh Paper Collection. 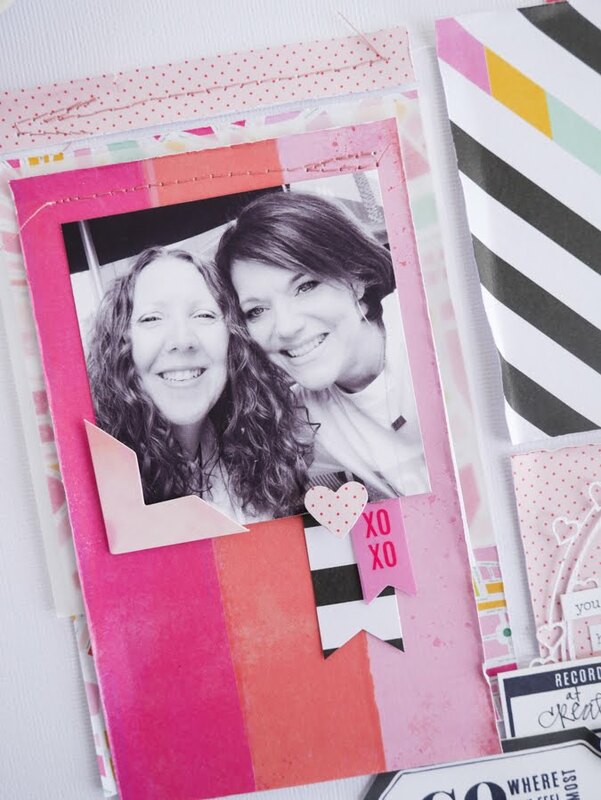 This is such a refreshing range of color and great embellishments that can support so many stories. 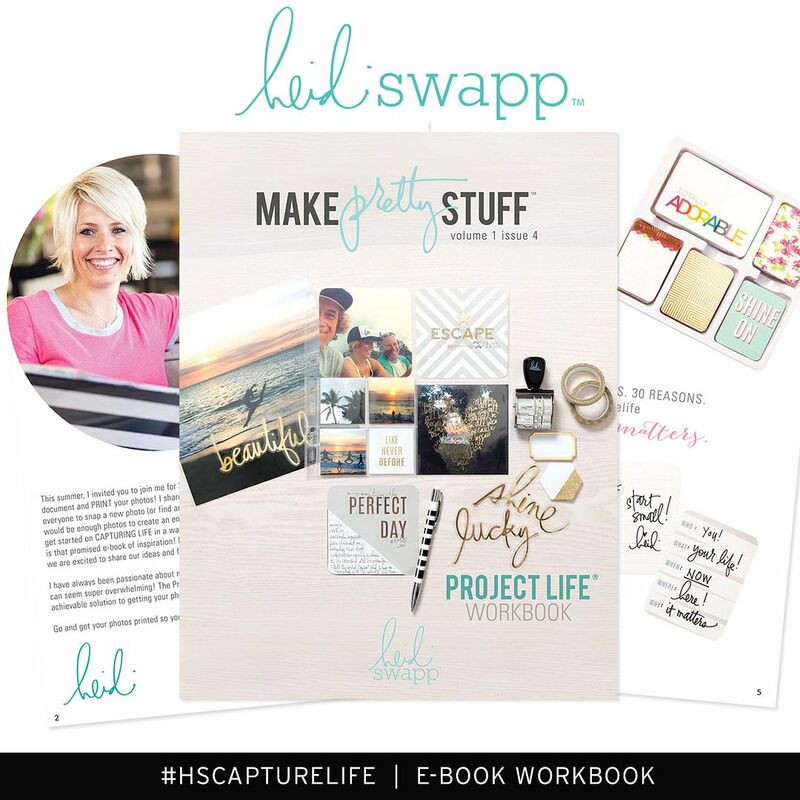 There is something about a brand new collection at the beginning of a brand new year to help support brand new goals of memory keeping. Sometimes I need supply boost. And this one has really fueled the feels of late. Stay tuned to this blog as there will be more to come. Yes. This. Needs to be emblazoned on my wall!!! I am choosing less phone time for more story time. 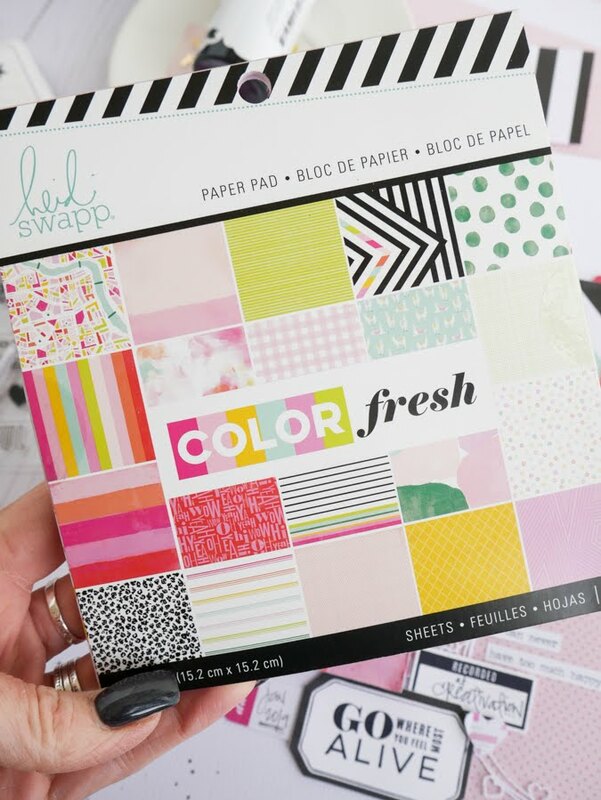 supplies | Heidi Swapp Color Fresh Collection: 6x6 Paper Pad. 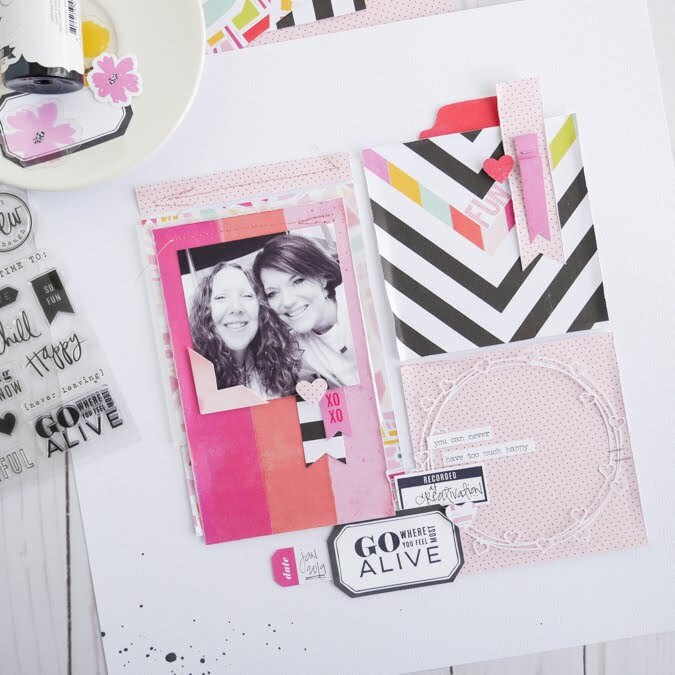 Pattern paper: Paint The Town, Urban Jungle, Counting On, Bright and Bold. 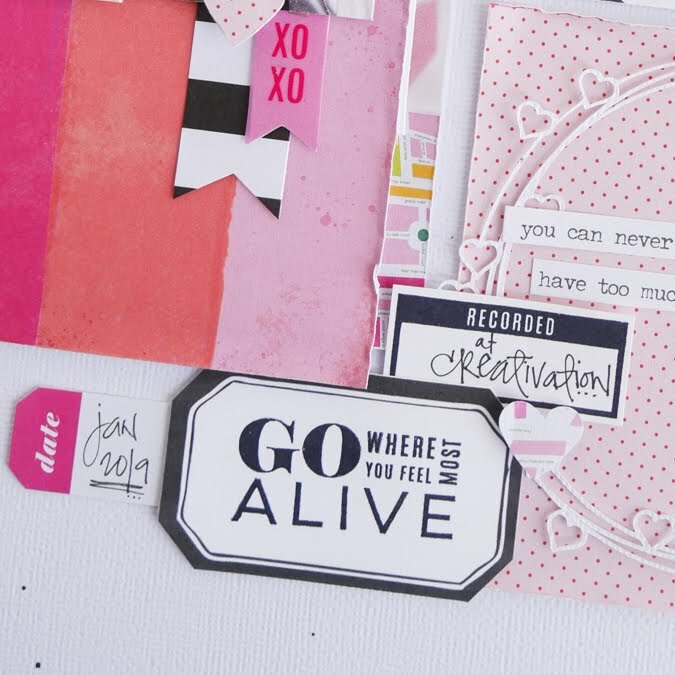 Embellishments: Ephemera, Sticker Book, Clear Acrylic Stamps, Color Shine Black.